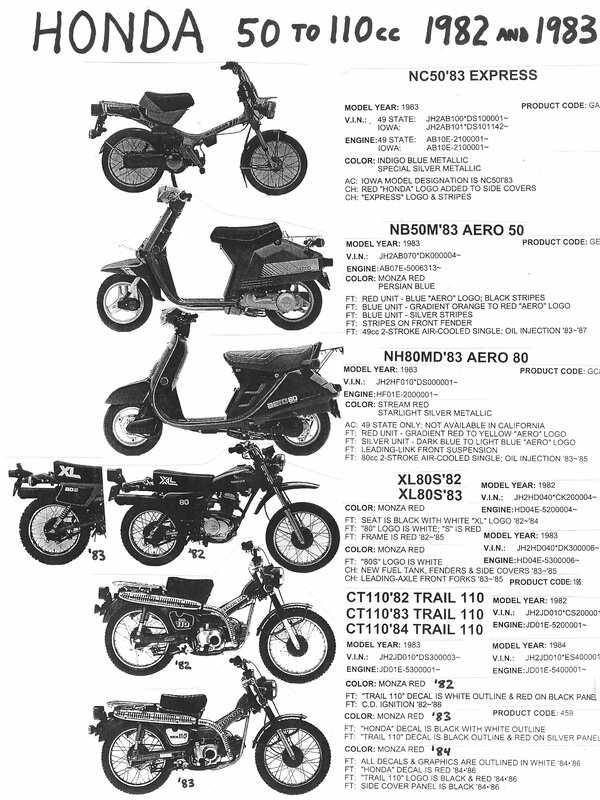 Welcome to Honda (moped parts). 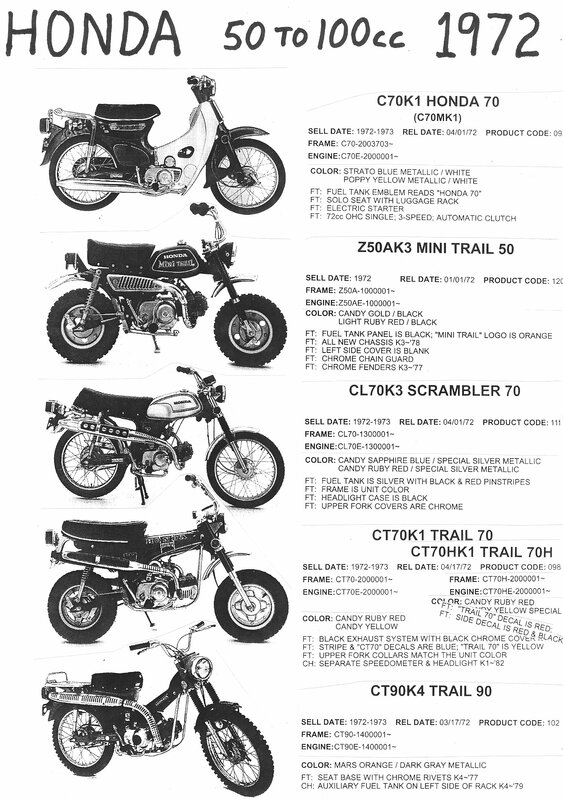 There is plenty of info here but not a lot of actual parts for sale. 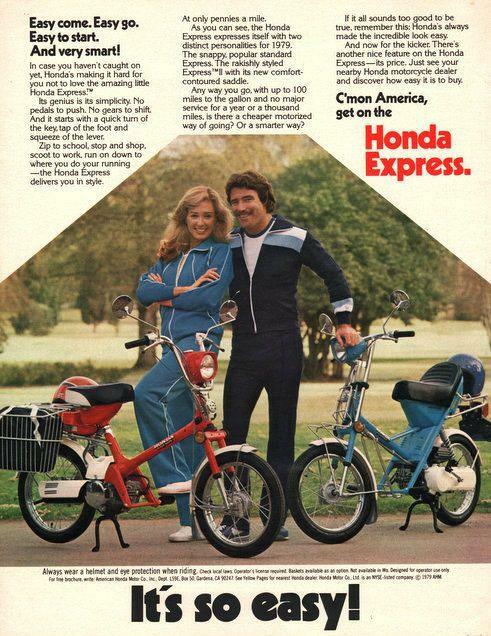 Honda mopeds and the parts for them were only sold through Honda motorcycle dealerships. 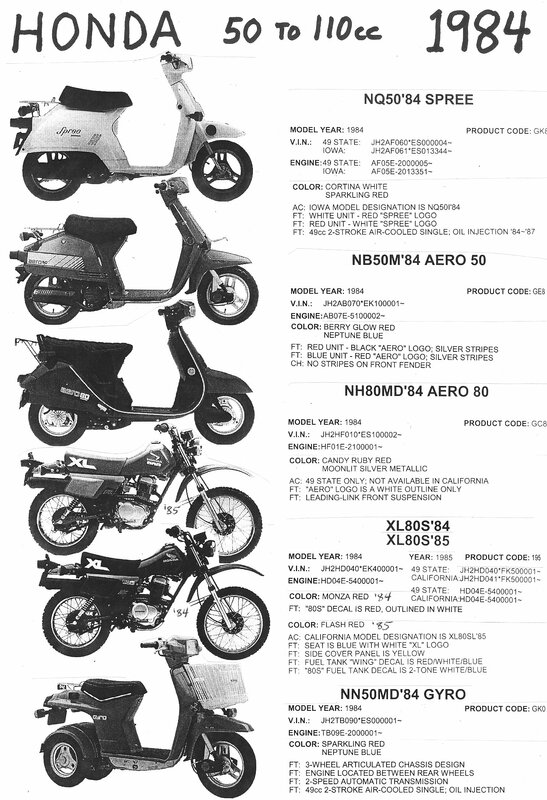 So the small shops that sold parts for European mopeds never did have Honda parts in their inventories. For this reason, other than some aftermarket things like brake shoes, spokes, tires, tubes, batteries, bulbs, petcocks, etc, Myrons pretty much only has original Honda parts from a few stripped out used bikes. 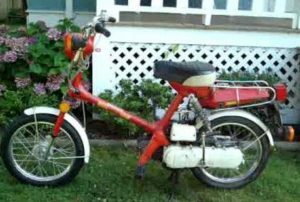 But there is a Honda dealership in Oakland, Maine USA, with a dedicated employee, Matt McGowan who appreciates small Honda and Suzuki motorcycles. 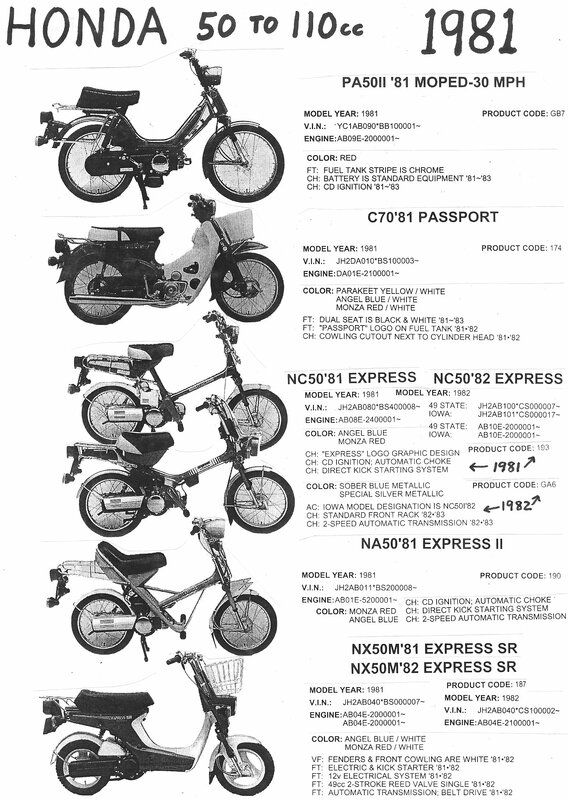 Matt can still get many parts for Honda NC50/NA50 Express, Suzuki FA50 Shuttle, and more. 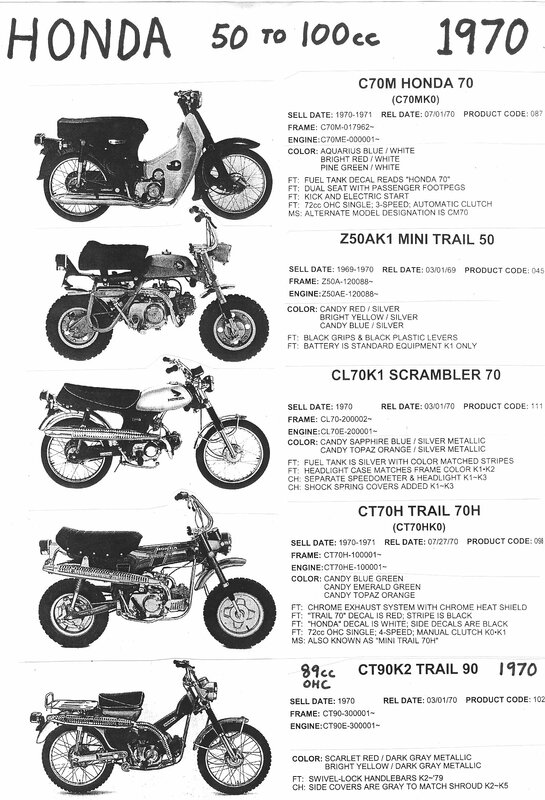 His shop has every US dealer’s parts inventories at their fingertips, to locate scarce parts. When you loose your Honda or Suzuki keys, instead of replacing the entire ignition key switch, most Honda dealers can make new keys from the key code number on the back-inside of the switch. 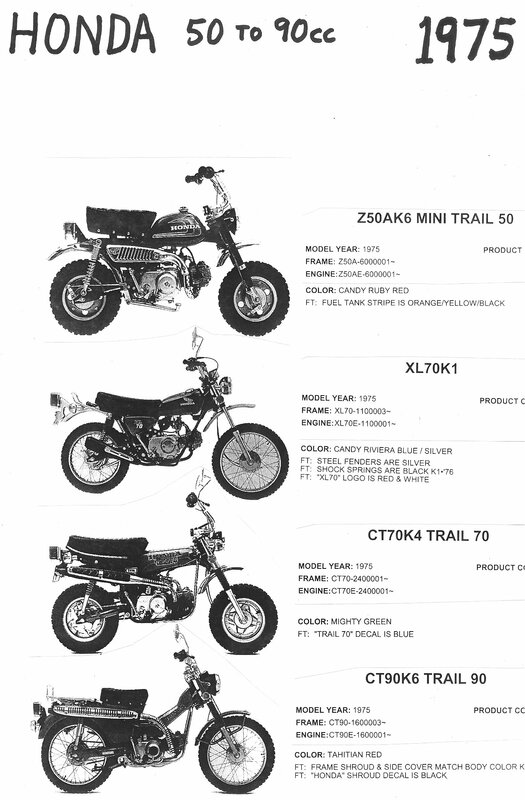 Call for parts inquiries at (207) 465 – 3710, 9am to 5pm eastern time, ask for Matt, or email to hondasuzukiworld@yahoo.com or click http://www.hondasuzukiworld.com/contact-us/contact-us.html. 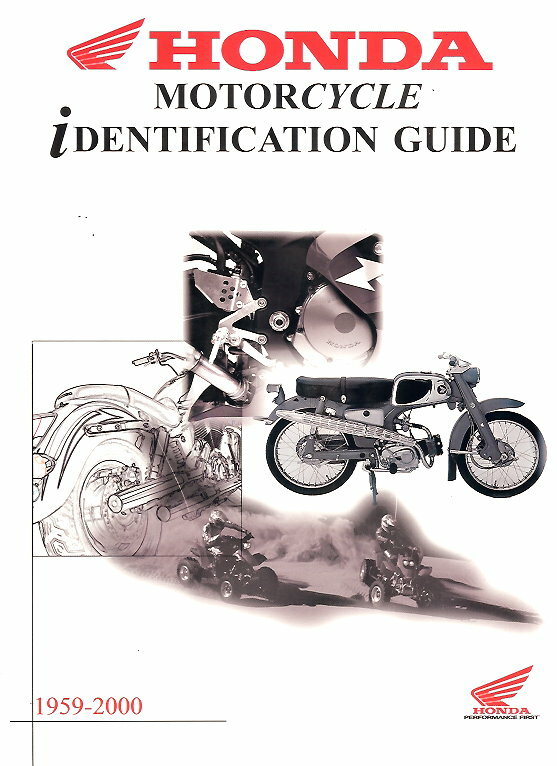 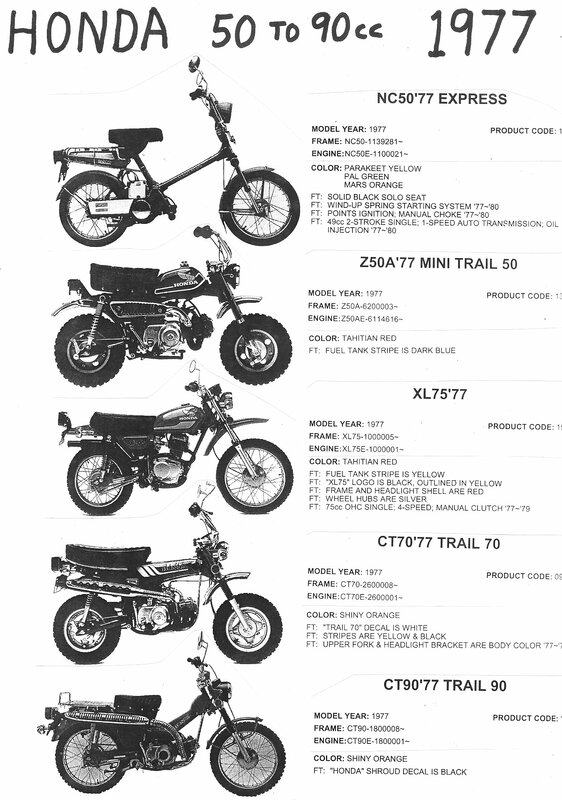 These are condensed from the Honda Identification Guide 1959-2000. 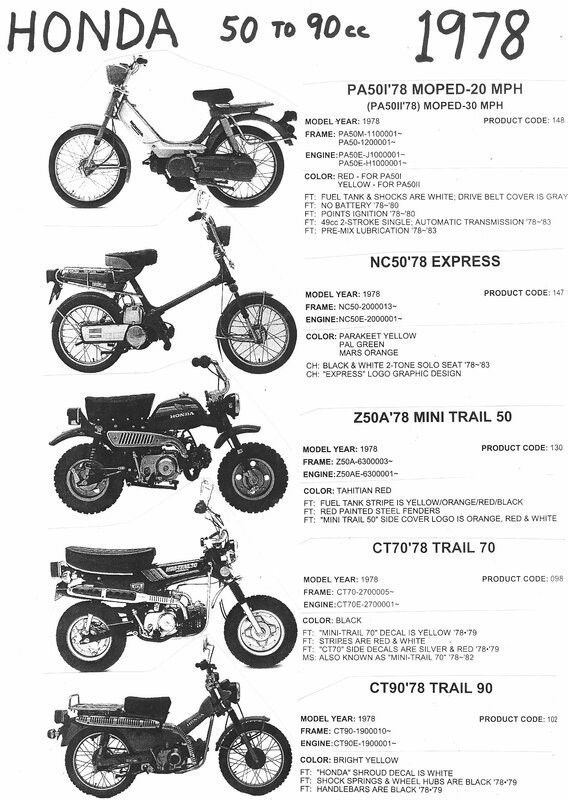 Over 110cc models are excluded. 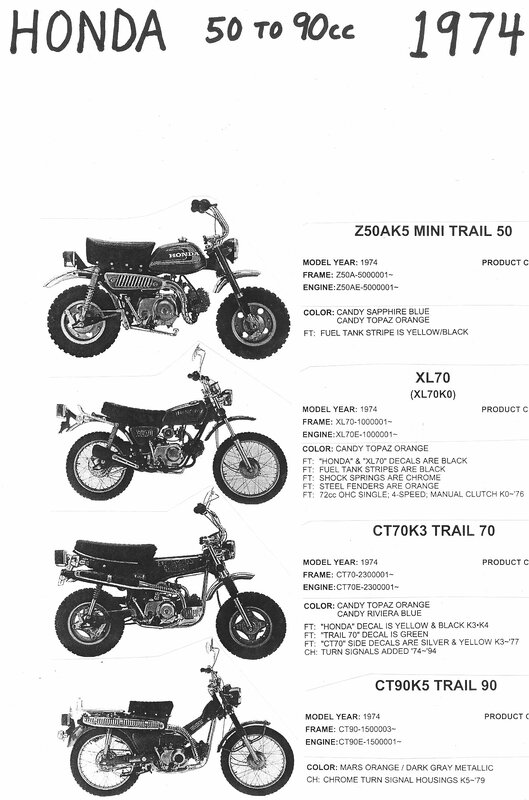 Pure off road and 3 or 4-wheeled models are also excluded. 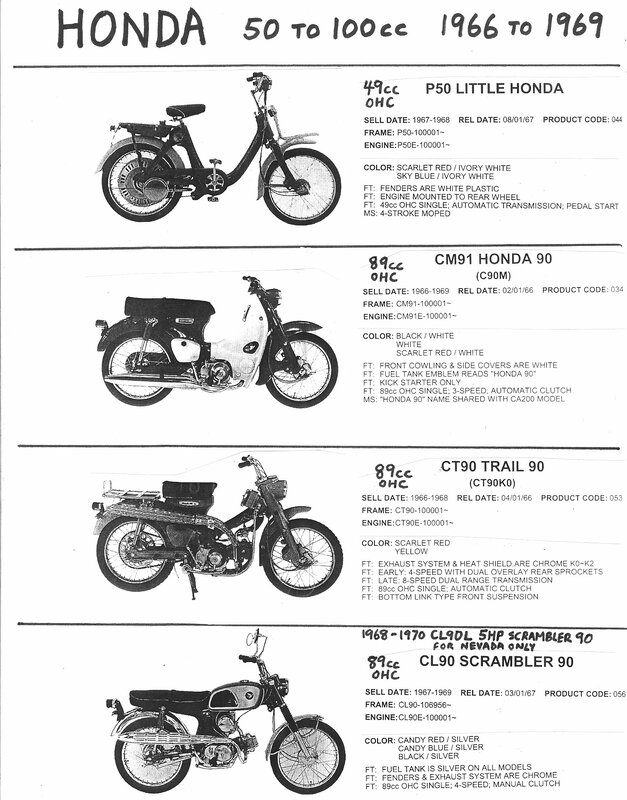 The pedal-assist models that U.S. Honda dealers sold were the P50, PC50, and PA50. 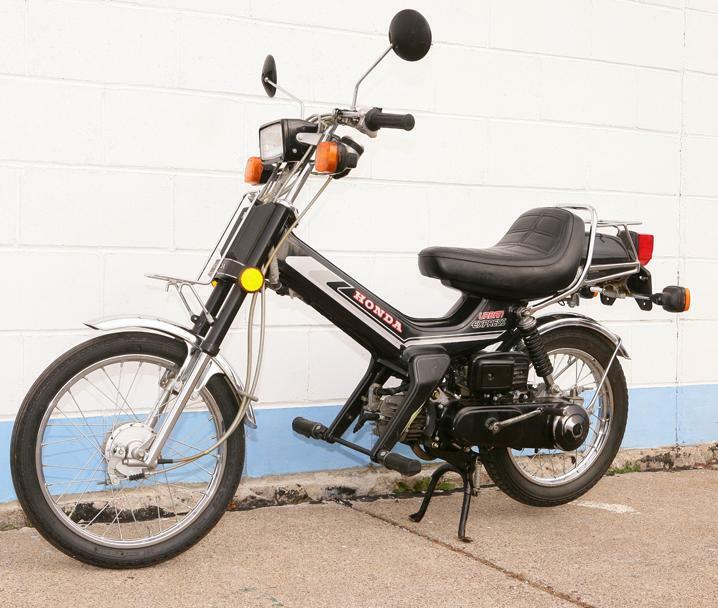 The two-stroke Honda PA50 moped is made in Belgium, and is covered in the Honda Benelux section. 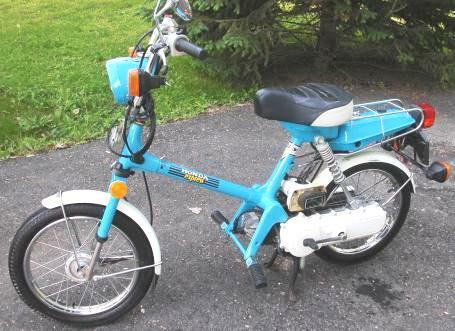 The 4-stroke P50 and PC50 mopeds were only sold one or two years each, and are not as common in the US as they were in Canada and Europe. The US motorcycle laws were not favorable to pedal-assist mopeds (motorized bicycles) until 1976. 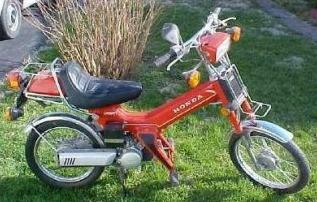 Honda made many step-thru models that were like mopeds. 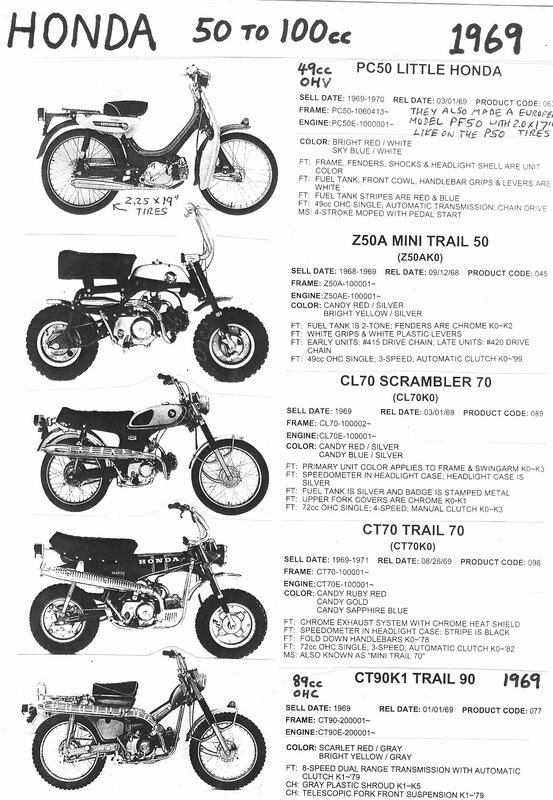 They had foot shift 3-speed 4-stroke engines, but no manual clutch. 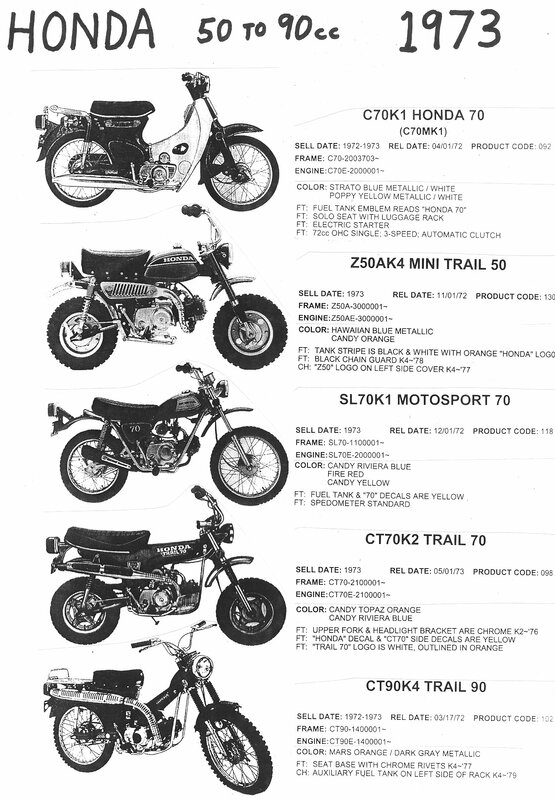 So they were easy and well mannered compared with the roaring two strokes and bigger bikes. 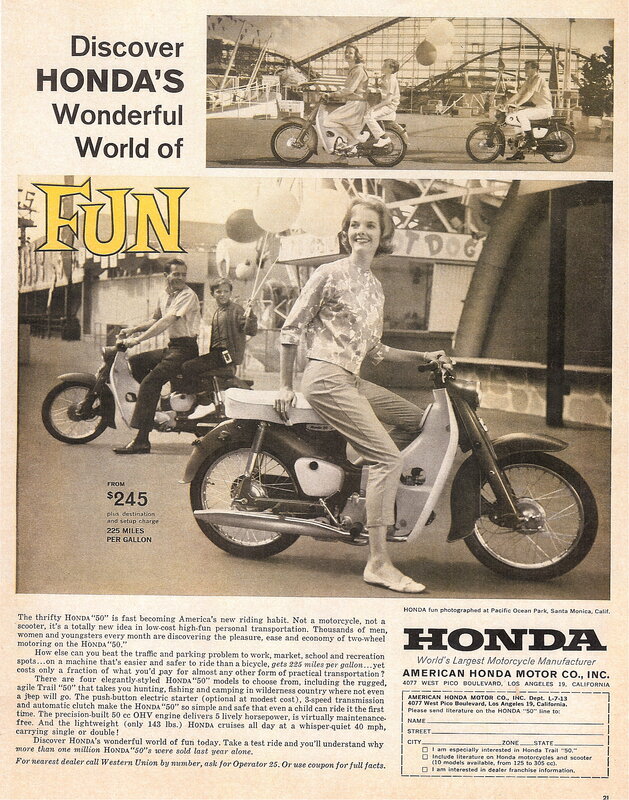 Honda revolutionized transportation worldwide with the C70 step-thru motorcycle, and set a Guiness World Record for the most motorcycles ever made of the same model. 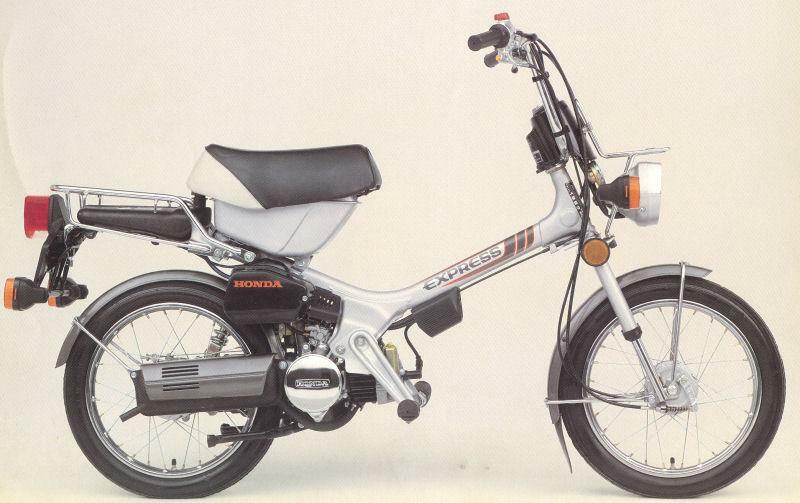 Ordinary poor people could go places cheaply reliably and safely on a Honda. In the next few years after 1984, for street bikes below 120cc, Honda only made scooters. 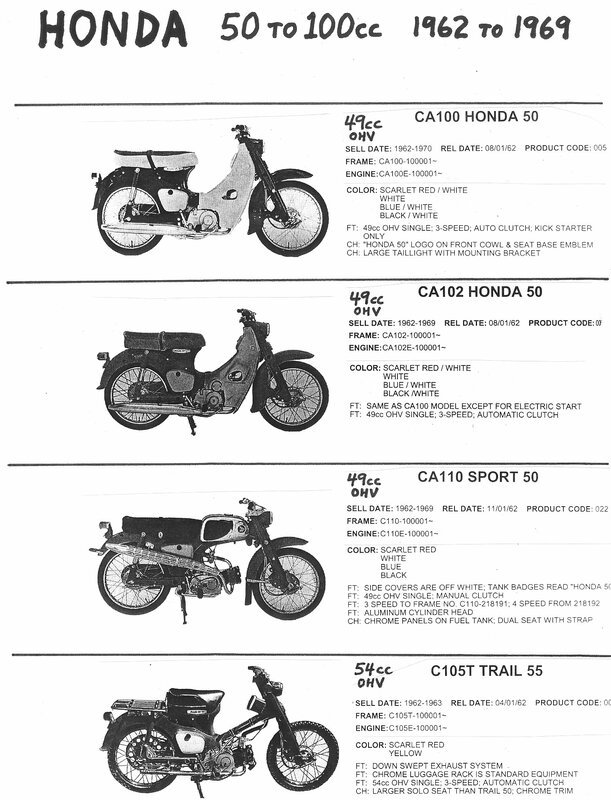 Scooters have a rear engine, and many things different from mopeds. 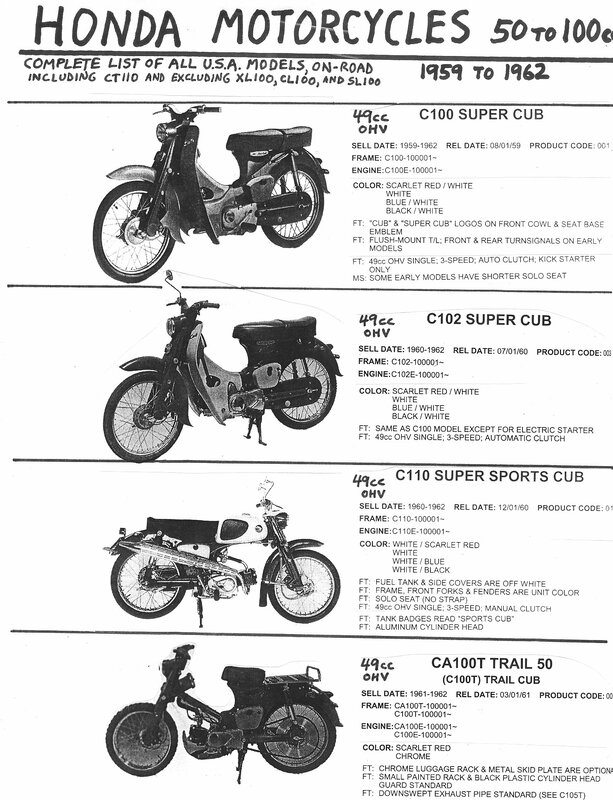 The only parts for 49cc scooters that Myrons might have are brake shoes, spark plugs, batteries, mirrors, and other things, but not much else. In 1985 Honda came out with the Elite line of four stroke scooters, with continuously variable automatic transmissions. 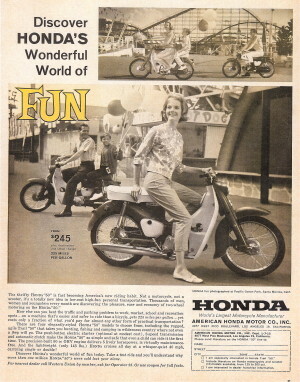 Once again forward-looking Honda revolutionized transportation. Before the Honda Elite there was no such thing as a 4-stroke scooter. 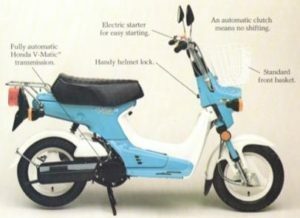 Five years later, in 1990 Japanese scooters (Honda and Yamaha) were fairly common in US cities. Twenty five years later, in 2010, Chinese four-stroke scooters were as common as motorcycles on American city streets. 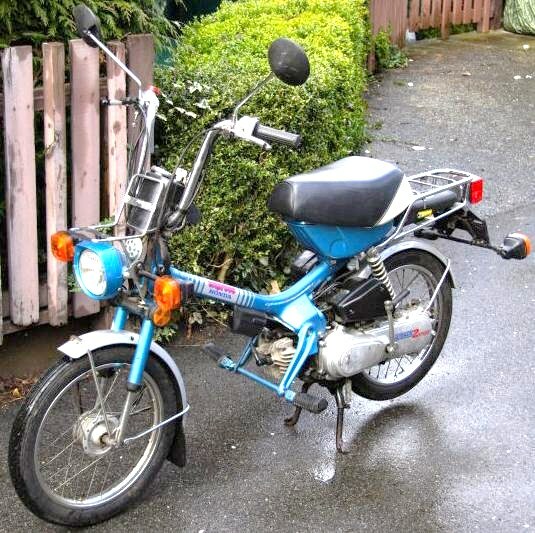 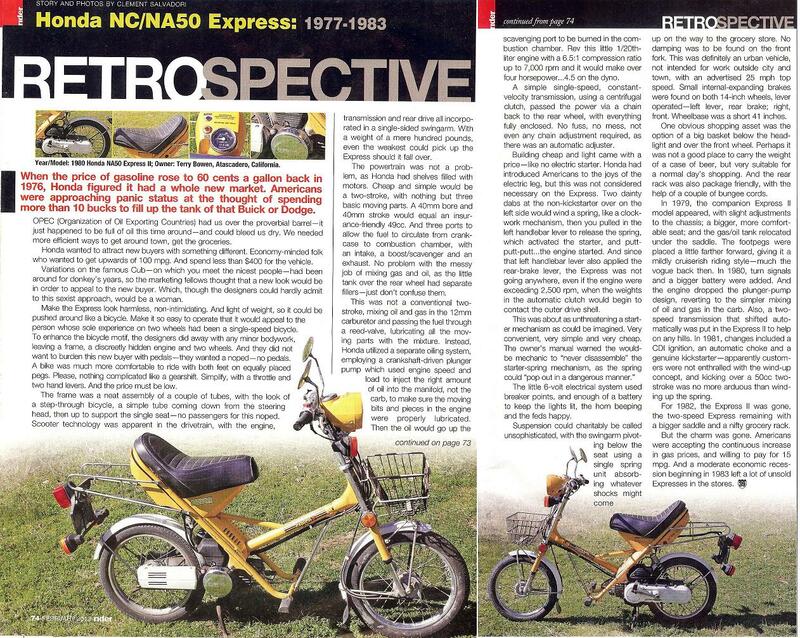 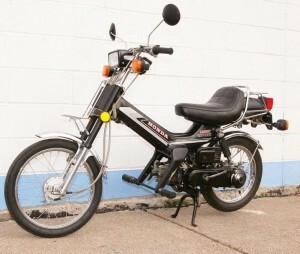 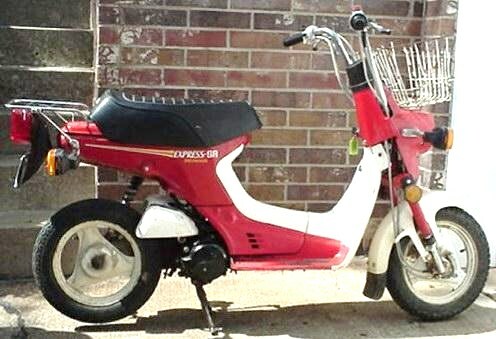 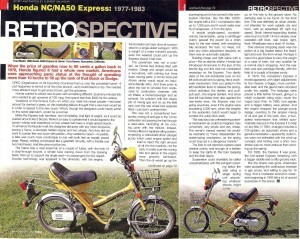 Before the scooter craze of the late 1980’s, and during the end of the moped craze of the late 1970’s, Honda offered an ultralight kickstart moped, without pedals but still speed limited to 30mph. 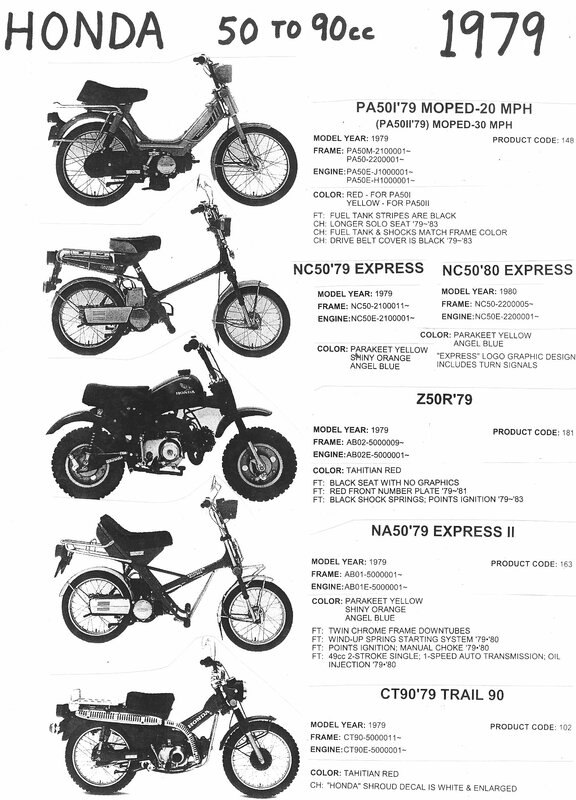 Thousands of NC50 Express and NA50 Express II mopeds were sold in the US, especially in states that did not require drivers licenses. 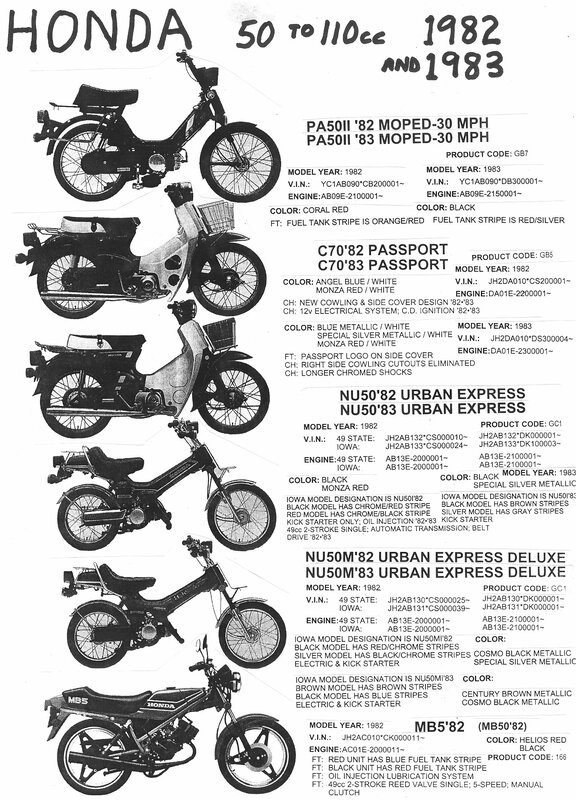 Honda ran magazine ads showing how silly and ridiculous the obsolete pedal-assist mopeds were, and how a Honda Express would zip by them on the uphills. 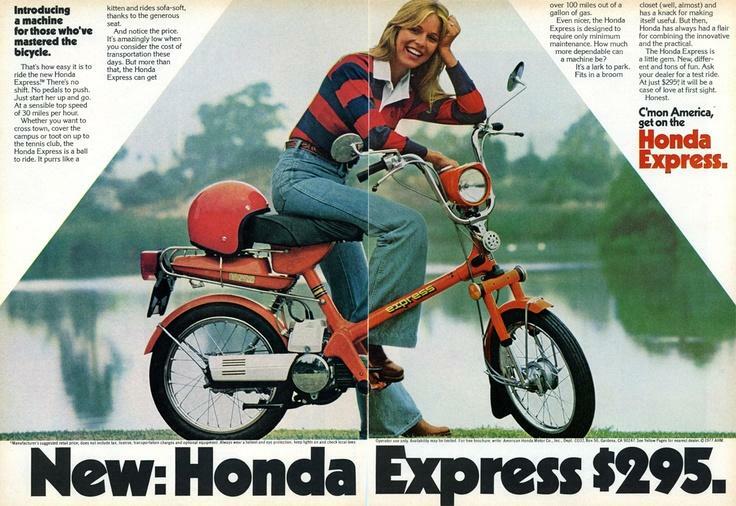 You can tell a two-speed by the bulge on the transmission cover. chain, two speed automatic trans. Gas tank: The gas tank and oil injection tank are one unit. 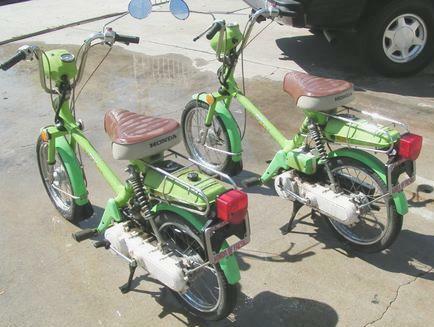 Often the wall between them leaks, allowing gas to get into the oil and oil to get into the gas. 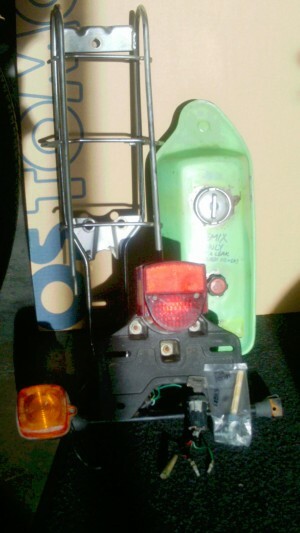 The simplest fix is to drain the oil tank and block off the supply line. 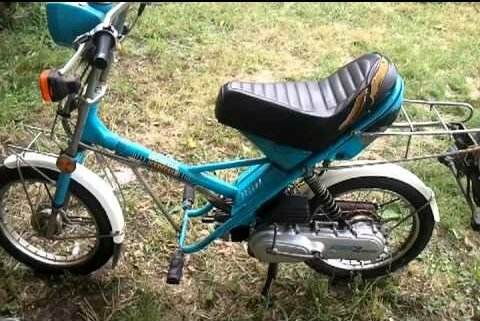 Then use pre-mix 50:1 gas and oil. 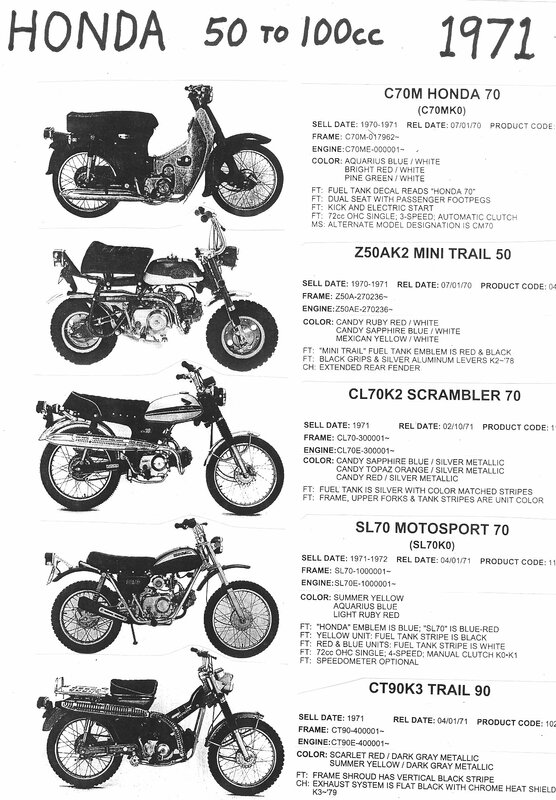 Carburetor: Keihin 11.5 mm, see Keihin where there are many photos, illustrations, and much information, as well as Honda Express carburetor parts for sale. 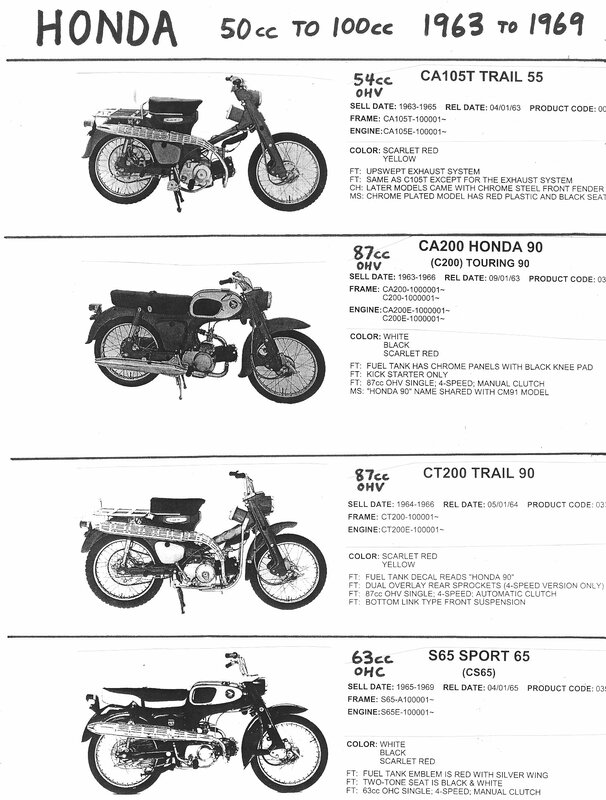 Cables and other things might also be the same. 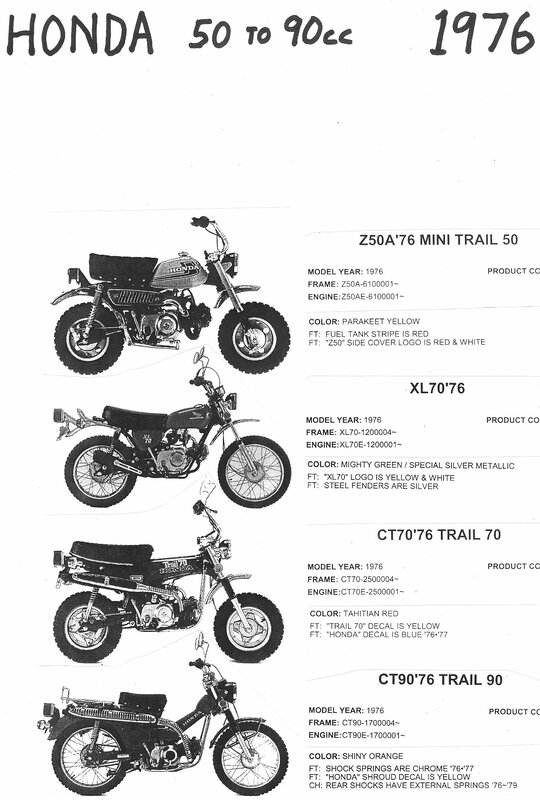 Head light and body panels/parts for PC50 are NOT the same. 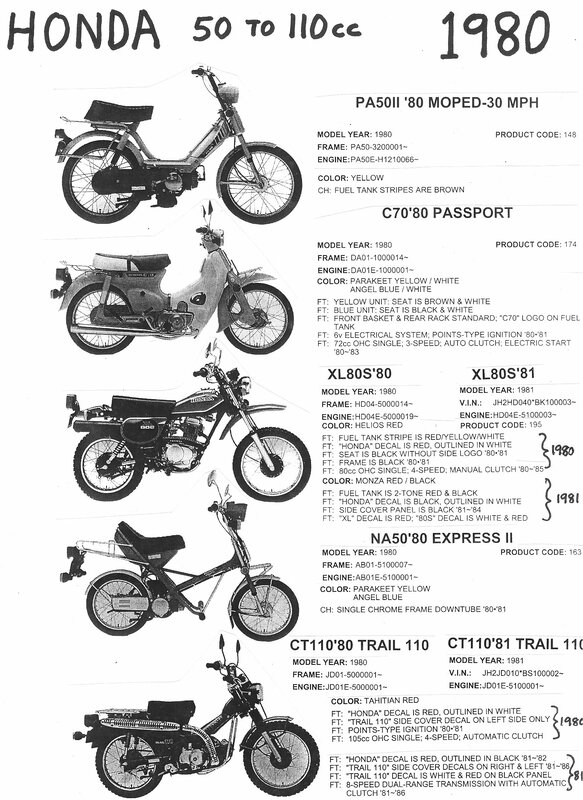 You are currently browsing the archives for the Honda Parts category.